Discussion in 'Online Casino Promotions' started by Ellis, Sep 16, 2014. Join the double the loyalty celebrations at GoWild Casino! players earn Double Loyalty Points when they wager for real money. Every week they are choosing 2 new games, where players get more points. 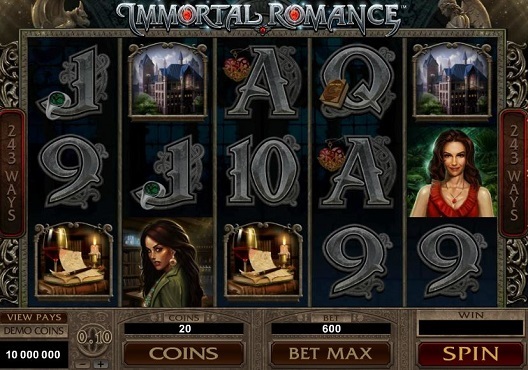 This week players earn double loyalty points when they play on Immortal Romance and the Tombraider Video slot. Tombraider is a bit older, but still incredible to play. and has all kinds of bonus rounds where you could win huge! If you would like to take advantage of these offers, simply login to your account at GoWild Casino and make a deposit. After that start playing on the Immortal Romance and the Tombraider Video slot. Your points will be credited automaticly and can be redeemed immediately for extra casino cash. You can redeem your wild points when you have collected 2,500. We wish everyone lots of luck and member this offer runs until Sunday, September 21, 2014. These are two super games to play. Immortal Romance i love that Slot. I was able to hit one time 4 super wilds in the Super Free Spin mode!